Rim Diameter: 18" & 15"
Michelin states, "Provides nearly twice the mileage of competitive Cruiser tires (based on independent testing)." 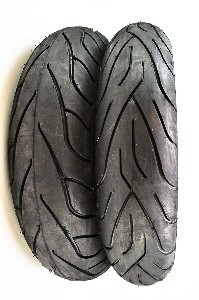 Radically different tread pattern for head-turning looks; premium sidewall treatment complements Cruiser styling. All-New rubber compounds provide remarkable wet grip without compromising durability. Square bead wires improve casing rigidity, handling and ease of installation. Amplified Density Technology, a highly dense, more-rigid tire casing, helps deliver excellent feedback and handling. 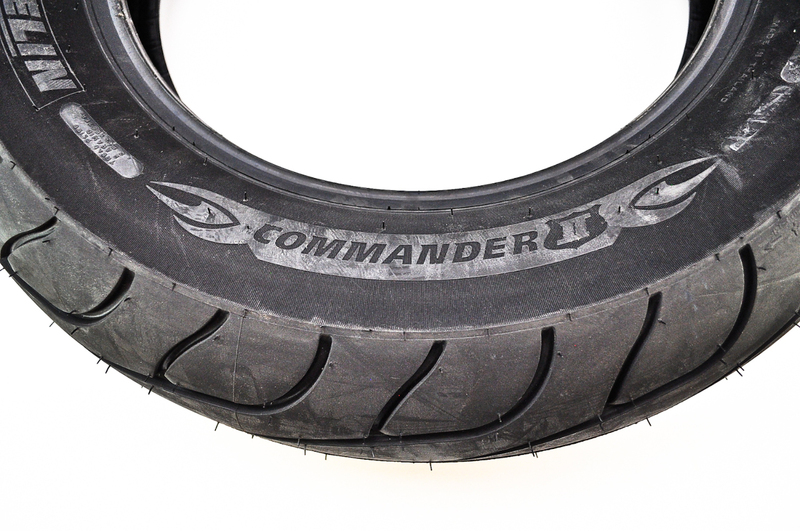 Commander II tires designed for dramatically extended mileage and feature Aramid tread plies to resist centrifugal growth, reduce weight and provide excellent stability. H-rated for speeds up to 130 mph.